Paper Crafts by Candace: Squarey Monsters!! Happy Tuesday! It's my day over at SVG Cutting Files and I have some adorable Squarey Monsters to share with you!! 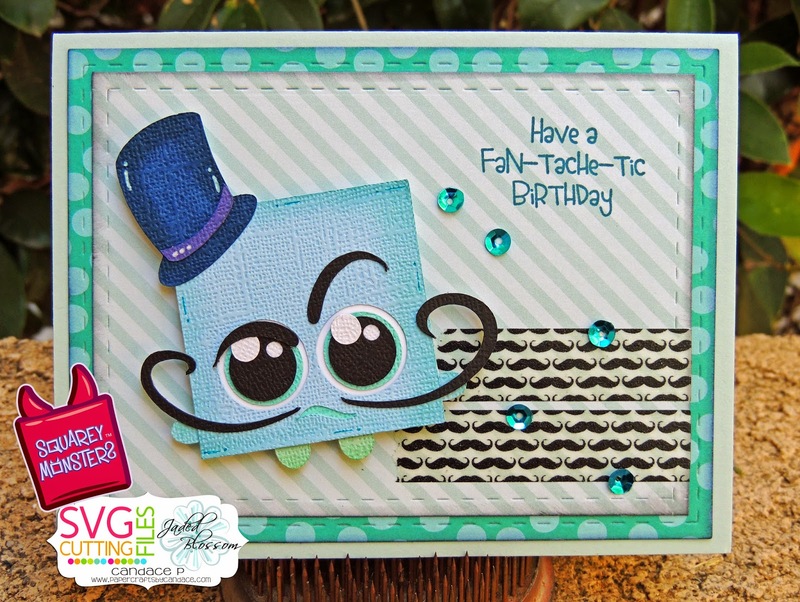 Along with Victor I used Jaded Blossom's Card Mat Dies and Love Mustaches stamp set. 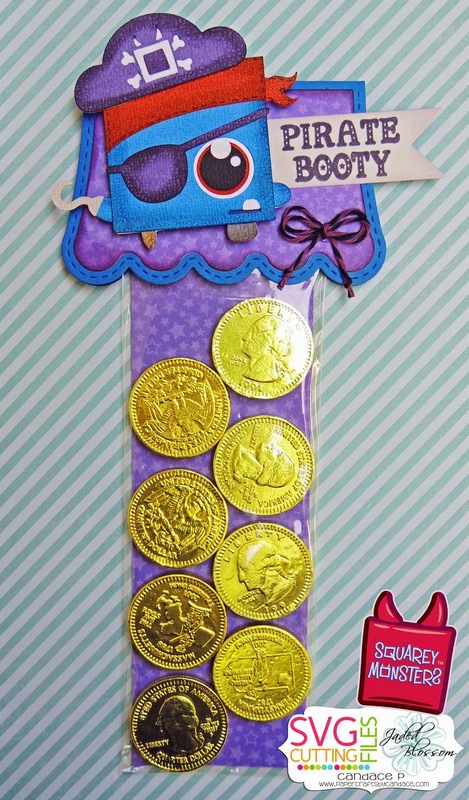 I used the 2.25x8 inch bags from Jaded Blossom and filled them with chocolate coins. 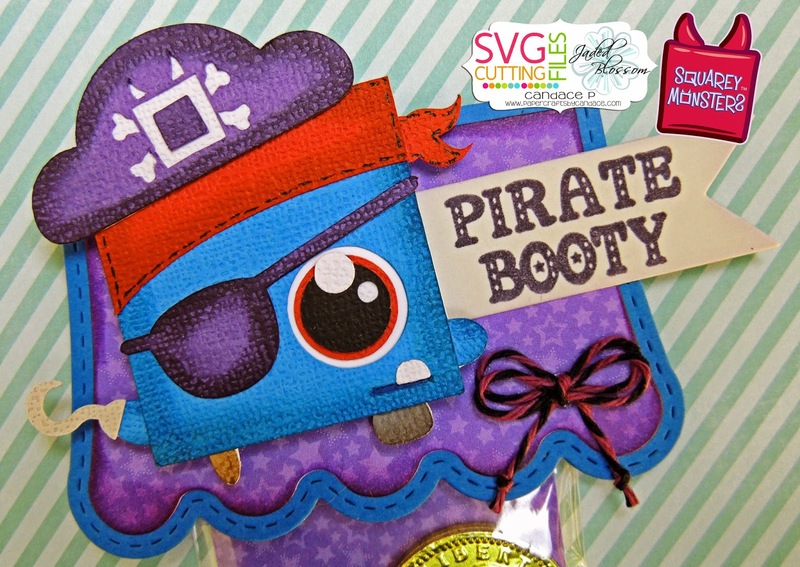 I also used the Scallop Slider & Topper Die, Flag Die and Pirate Booty stamp set. Thanks so much for checking out my Squarey Monsters today!! These are both too cute chickie love the tape !! Love those squarey monsters they look great.